Do you feel stressed and drained of energy too often? Do you get stuck in procrastination or run into motivational slumps or self-discipline problems when you try to get things done? Do you feel that your productivity habits are holding you back from advancing in your career, getting better grades in school or making your own small business grow the way you want it to? And do you feel you have too little time for loved ones and for fun, hobbies, relaxation and just lazying around nowadays? Then it’s time to reclaim your time, attention and energy. And that is what The Art of Relaxed Productivity is all about. It’s about the techniques, strategies and habits that will help you to not only greatly increase your productivity and effectiveness. But also help you to become less stressed and much better at renewing yourself and your energy. Let me tell you a little bit about my story. Back in 2004 I was something of a slacker and a major procrastinator. I really wasn't a productive or effective person at all. I got up late in the morning, just before lunch and skipped classes. I crammed for the last week before a test at the university. And I spent my regular day on just hanging out, watching movies and TV, reading and eating enough snacks to put on a couple of pounds each and every month then I’d go to spend the evening with a friend or two. I didn't get much done at all. I didn't know how to get myself to do things, how break out of procrastination and be a self-disciplined guy. On the surface it may have looked relaxing but beneath that I was frustrated and mad at myself for standing so still in my life on all levels. Today is a different story. Today I get up when everyone else are going to work. I eat my breakfast and work for two hours before it’s time for half an hour of intense exercise. Then it’s time for lunch and I have done more of critical importance between breakfast and lunch than I used to do in a day in 2004. Before the day is up I will have accomplished more to move myself forward and upward in life than I used to do during most weeks back in “the good old days”. And I still have time to hang out in the evening with friends and loved ones, to read a good book or just relax with a movie or an episode or two of my favorite TV-show. Get out of the overwhelm and stress of living in today’s society and at the same time get the most important things done consistently every day. 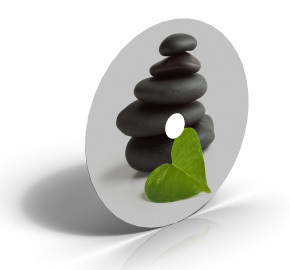 Create a simple system for effectiveness and productivity that will also help you to get the rest, relaxation and renewal that you need to feel good and balanced. Use your attention and focus in a way that helps you to achieve what you want at work, in school and life. Change a habit more easily (and make that habit stick for life). Set goals in a way that works very well to find clarity and to move forward in life to new heights. Use 3 questions that will reduce your worries and help you to not waste your energy on what do not matter. Bust out of procrastination. And you’ll learn the simplest way to get going if you get stuck there again (I use this one every week myself). 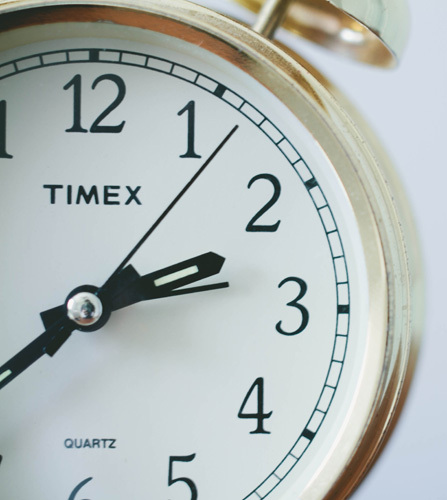 Use the 5 simple steps I use to save at least 30 minutes a day and to handle email in a lot less stressful way. Boost your motivation and use simple techniques to pick yourself up from a motivational slump. Get the stuff that is so boring that you usually procrastinate for days or weeks on it all the way to done. Improve your self-discipline so that you keep moving towards what you want not just once in a while, but every day. If you aren't satisfied that The Art of Relaxed Productivity is helping you improve your life or you don’t like the material for some reason then just let me know via email and I’ll refund you in full with no hard feelings and no questions asked. 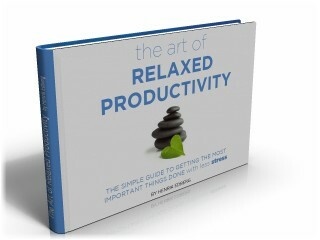 helped me an awful lot"
"The Art of Relaxed Productivity has helped me an awful lot. Even though I have my life goals clearly set, I find it difficult to make them happen. Every day I used to wake up thinking “this is the new day when I can change something”, but making big changes never worked and before I realized, I was back in the same routine. With your tips and encouragement, and some effort of my own, I managed to make changes stick. I already have the ball rolling and see the snowball effect it has on my life and my attitude, and my growing ability to (finally!) get rid of all the irrelevant detail that used to overshadow the real stuff I should focus my attention on." - Nika Knitter, The Art of Relaxed Productivity user. 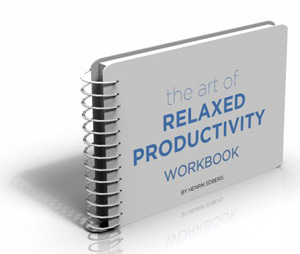 When you get the Art of Relaxed Productivity you first and foremost get instant access to the 98-page main guide in downloadable PDF format that you can read it on your computer, e-book reader or on a tablet like an iPad. A 22-page workbook in PDF format that you can print out and use to apply what you have learned from the main guide to your specific situation and to find more clarity in your own life. The main guide contains a simple but effective plan for incorporating the habits and strategies from it into your life. This bonus guide in PDF format does however go even further and gives you my exact suggestions for what to do step-by-step for 12 weeks to double or perhaps even triple your productivity and effectiveness. You will not only get access to written content but also four audio sessions in MP3 format. These audio sessions are The Quick Start to Relaxed Productivity, The Ultimate Guide to Motivation, How to Change a Habit Audio and How to Overcome Procrastination. And finally, you get access to these small but helpful bonuses. I work from home full-time and it has it’s own challenges. In this guide I share a handful of the best tips I have found in the past few years for doing your daily work effectively and well in this environment. These startpages for your browser and wallpapers will help you to stay focused on what is most important each and every day. 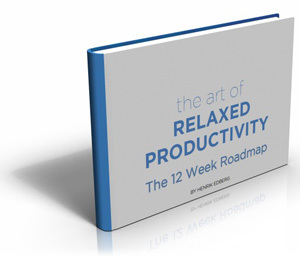 Click the button below to get access the whole downloadable Art of Relaxed Productivity package (the main guide + the 5 bonuses) right now for just $27. P.S: I don’t want you to have to spend years struggling like I did to find your way out of procrastination, motivational issues and self-discipline problems until you finally can get the most important things done every day. Instead, start a more productive and less stressed life today. And remember, you have a 60 day, no hard feelings and no questions asked money back guarantee so you can check out the Art of Relaxed Productivity with no risk for you. Copyright Henrik Edberg of The Positivity Blog 2010-2018.